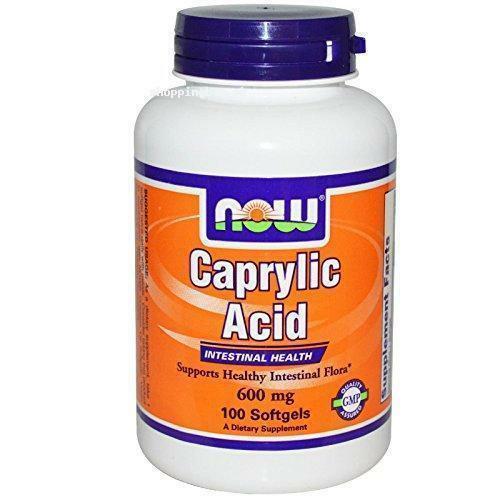 Now Caprylic Acid intestinal health supplement supports the digestion and intestinal health. Caprylic acid actually comes from coconut and kernel oil. It balances the intestine flora, which improves the digestion rate and intestine system. It is recommended to take one softgel two times in a day for healthy intestine. You can buy the 100 softgels in one container of caprylic acid from Amazon supplements online shopping in Pakistan. Click order now and get it at your home door with cash on delivery facility. Also known as octanoic acid Caprylic Acid is a short-to-medium chain fatty acid (MCT) that is naturally found in coconut and palm kernel oil. Caprylic Acid supports healthy digestion through its ability to promote a healthy balance of intestinal flora.